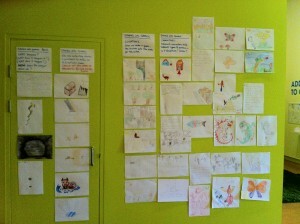 The Drawing Stories into Games workshops are inspired by the gorgeous game made by Charlie and Harry (and their dad!) during the 2012 48hr game making challenge. The workshops run once a month during the SLQ Garage Gamer exhibition. They are aimed at ages 6-12 and they are all about kids making imaginative, creative story based games. 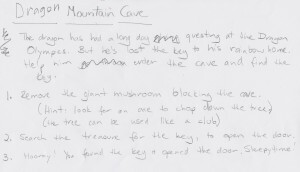 The basic idea is to collect drawings and stories and with the help of our resident game maker, turn them into a playable adventure. 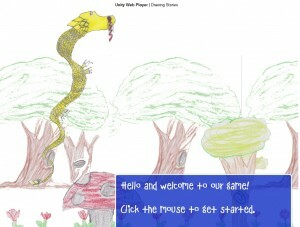 Turning the stories into a simple adventure game – made by kids! At the moment there is only one finished location. You can click on objects for information, pick them up and use them on other objects.